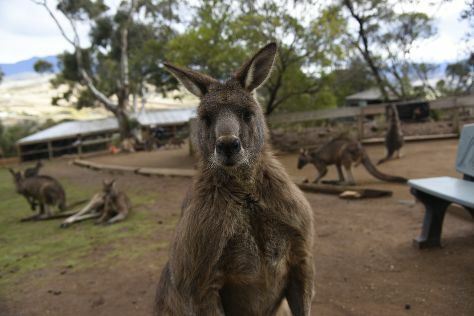 Bring the kids along to Bonorong Wildlife Sanctuary and Tasmanian Museum and Art Gallery. On the 28th (Sat), give your taste buds a day to remember with a local gastronomic tour. And it doesn't end there: take in nature's colorful creations at Royal Tasmanian Botanical Gardens, take in the views from Richmond Bridge, see the interesting displays at Museum of Old and New Art, and steep yourself in history at Cascades Female Factory Historic Site. Discover how to plan a Hobart trip in just a few steps with Inspirock's itinerary builder. Adelaide to Hobart is an approximately 4.5-hour flight. You can also do a combination of car and ferry; or do a combination of train, ferry, and bus. In December, Hobart is little chillier than Adelaide - with highs of 24°C and lows of 13°C. Finish your sightseeing early on the 30th (Mon) to allow enough time to drive to Port Arthur. 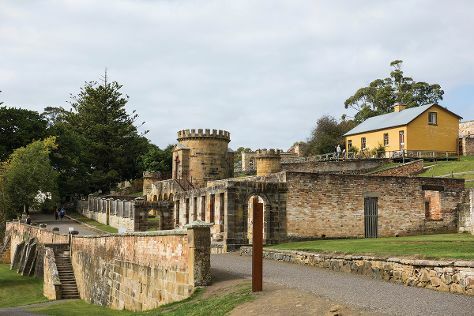 Start off your visit on the 31st (Tue): identify plant and animal life at Tasmanian Devil Unzoo, get to know the fascinating history of Port Arthur Historic Site, and then don't miss a visit to Remarkable Cave. For maps, reviews, and more tourist information, you can read our Port Arthur trip planner . Traveling by car from Hobart to Port Arthur takes 1.5 hours. Alternatively, you can take a bus. In December, daily temperatures in Port Arthur can reach 24°C, while at night they dip to 13°C. Finish your sightseeing early on the 31st (Tue) so you can drive to Coles Bay. 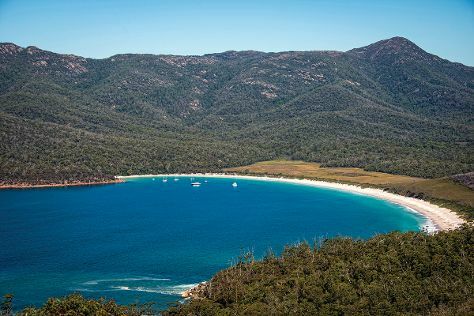 Family-friendly places like Wineglass Bay Lookout and Freycinet National Park will thrill your kids. Step out of Coles Bay with an excursion to East Coast Natureworld in Bicheno--about 30 minutes away. The adventure continues: get up close to creatures of the deep with a dolphin and whale watching tour, do a tasting at Gala Estate Vineyard, surround yourself with nature on a nature and wildlife tour, and kick back and relax at Coles Bay Jetty. To find where to stay, photos, other places to visit, and other tourist information, use the Coles Bay day trip planner. You can drive from Port Arthur to Coles Bay in 3.5 hours. Another option is to take a bus. Cap off your sightseeing on the 3rd (Fri) early enough to go by car to Launceston. 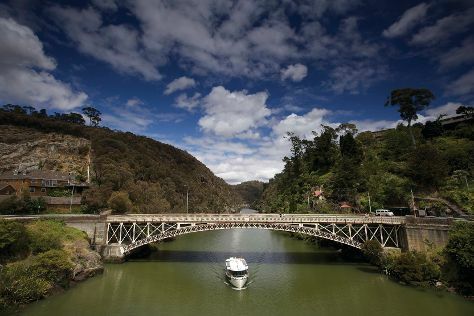 Kids will appreciate attractions like Cataract Gorge Reserve and Seahorse World. Venture out of the city with trips to Platypus House (in Beauty Point) and Beaconsfield Mine & Heritage Centre (in Beaconsfield). There's lots more to do: walk around City Park, revel in the low prices at Waverly Woolen Mills Factory Outlet, savor the flavors at Food & Drink, and admire the masterpieces at Queen Victoria Museum & Art Gallery. To see traveler tips, where to stay, reviews, and other tourist information, refer to the Launceston online trip builder . Drive from Coles Bay to Launceston in 2.5 hours. Alternatively, you can do a combination of car and bus; or take a bus. In January in Launceston, expect temperatures between 28°C during the day and 12°C at night. Wrap up your sightseeing on the 6th (Mon) to allow time to travel back home.